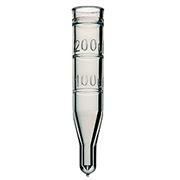 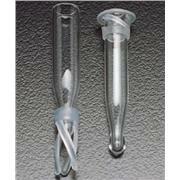 PYREX® Conical Reaction Vial, Standard Taper. 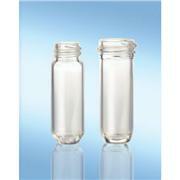 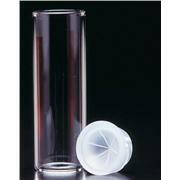 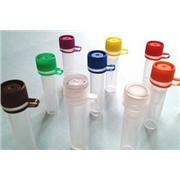 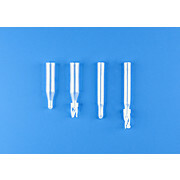 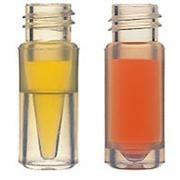 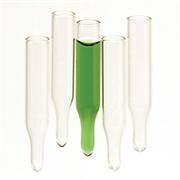 These Conical Reaction Vials are a replacement part for the 6949M series of PYREX® microchemistry kits. 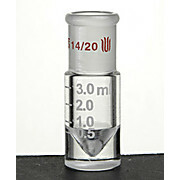 Conical Reaction Vial, Synthware, Capacity: 3, 5, and 8mL available, Joint: 14/20. 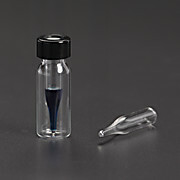 This Conical Reaction Vial is a replacement part for the 6949M series of PYREX® microchemistry kits. 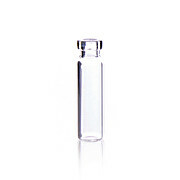 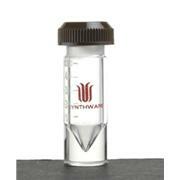 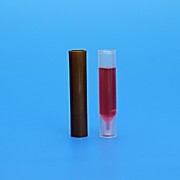 Conical Reaction Vial, Heavy Wall, Graduated, Synthware, Multiple Sizes available, Joint: 5/5, 7/10, or 14/10 available. 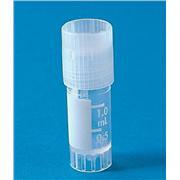 Includes cap with bonded PTFE/silicone septa. 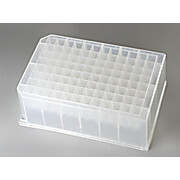 Components packaged in a clear lid tray with 100 shell vials and 100 conical snap plugs. 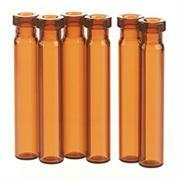 Snap Plugs are not attached to the vials and are in individual plastic bags. 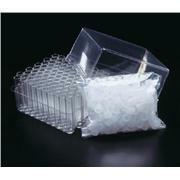 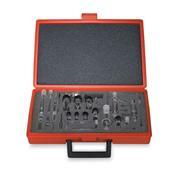 Fits into bench drawer for easy access and packaging keeps products visible and particle free. 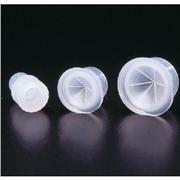 Starburst and conical design of the snap plug provides self centering needle penetration guidance as well as better resealability of plug after use. 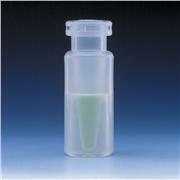 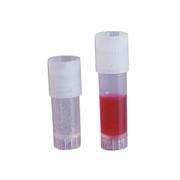 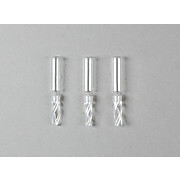 Plug is designed to easily push in and remove from the vial while still providing a tight fit for good sealability.